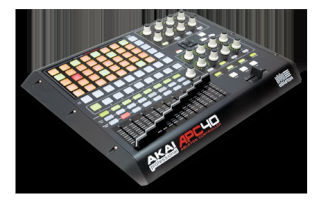 I use the apc40 to dj in ableton. I couldnt figure out an easy way to use the EQ to turn the bass down in one song while turning it up in another. I bought an LPD8 thinking i could use the 8 extra knobs to create 2 separate EQs like on a standard dj mixer. How can i set one eq to channel A and another to channel B and use these knobs to control those channels?